A few weeks back, I was presented with the opportunity to pick up a pair of Puma PowerCat 1.10 at a pretty incredible price. 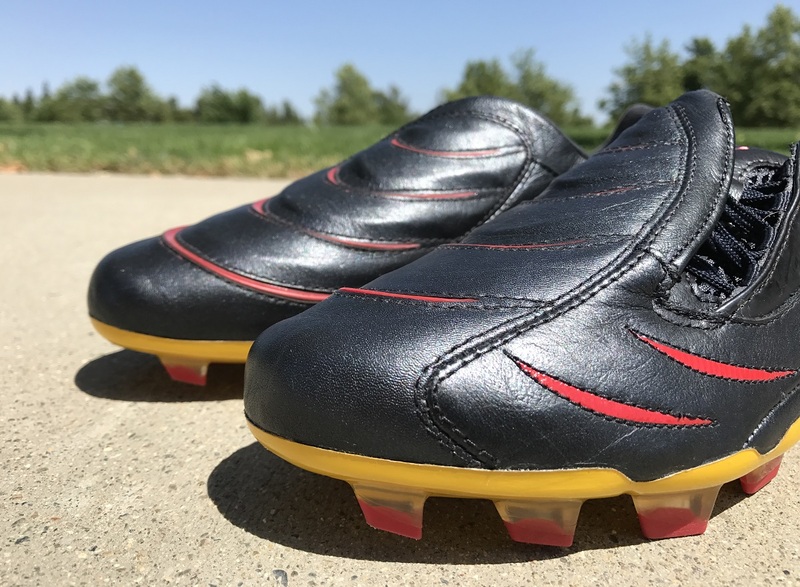 I’ve been running the site since 2008, and in that time there are numerous boots that just stand out and bring back positive memories. One in particular was the initial roll out of the PowerCat series. Puma offered us early access to a pair, so we had an opportunity to test them before release. And I can even recall the night images were taken for our first feature on them. Since the last time I wore a pair was back in 2010, I decided to invest. 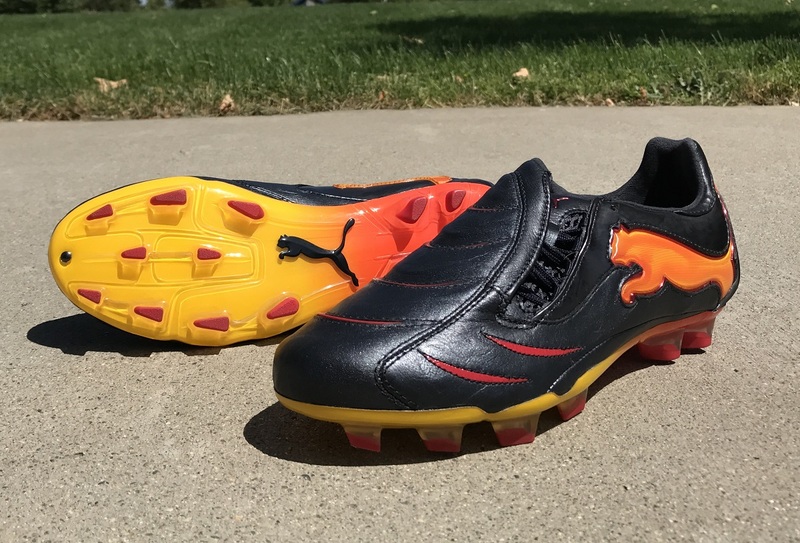 Honestly, it was the colorway that lured me in; Black with a blend of Fluo Peach to Puma Red detailing and released as a signature “Tricks” boot. They were released pre World Cup 2010, and were worn by key Puma players as a feature boot. When you look at them in hand, they almost look like a sunset colorway, positioned on a dark night sky canvas. Love it! Realistically, this was the boot that set in motion a completely new style of Power boot from Puma. 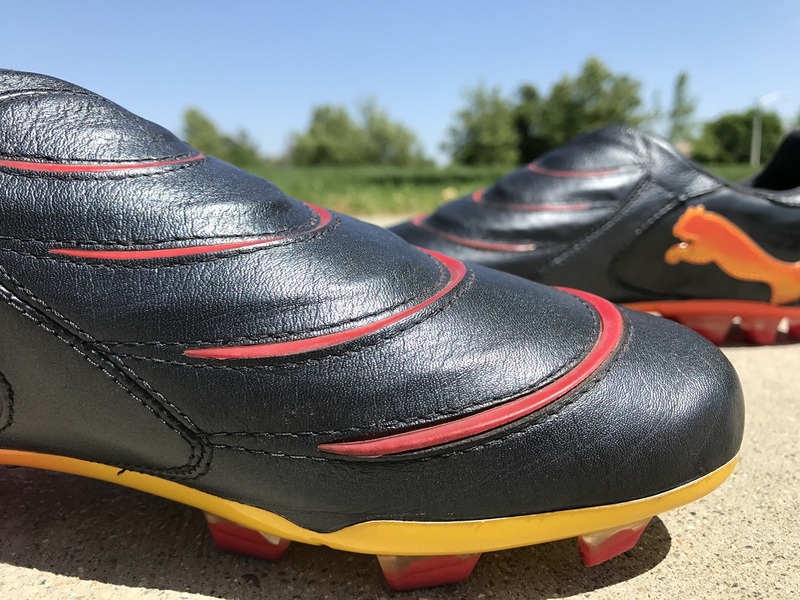 They were intended to compete against the adidas Predator X at the time, but offered a much more dynamic story for the Cat. It was the tiered strike system and positioning that made them just a little bit different. The ridges that overlap across the forefoot are officially labelled “SpringTech” foam ridges, and they are designed to increase shooting power while maintaining touch and feel on the ball. The benefit of having this technology is that it has high rebound properties that does not absorb the typical amount of energy on ball impact, meaning more power is released when you shoot. The positives? This was a true power boot set to mix it up with the best of the market at the time. Providing a tiered forefoot system ensured you got plenty of definition to connect with the ball. And they feel pretty awesome when it comes to striking shots! The negatives? At the time of release, power boots were supposed to be heavy, and that they are. That makes them a full bodied style release that out weigh what we currently have on the market. Having the chance to revisit a boot like this is a lot of fun! It provides insight, education and a reminder into how brands develop and advance specific boots. 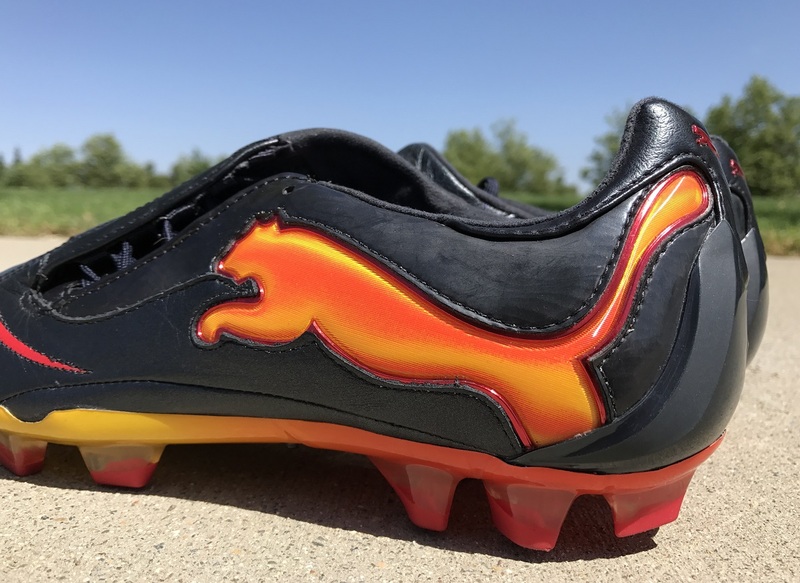 In this case, and for Puma it is the PowerCat with the evoPOWER. From experience, you can see how Puma has substantially advanced their performance, with the evoPOWER providing a much more natural feel on the ball. But the PowerCat has elements that set in the stone the steps to a better boot. If you are interested in trying to secure a pair in the modern era, there are not a great deal of options. Check out the offereings on eBay and Amazon are your best bets.